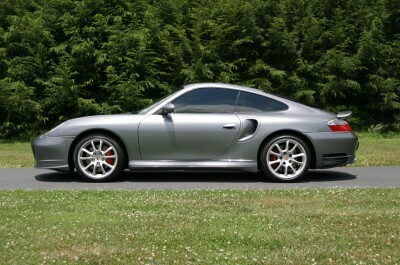 With a drive this entertaining, it’s no wonder that the 2003 Porsche 911 has so many fans. The turbo offers an impressive 415 hp and 413 lb-ft of torque. The 911 Turbo also includes all-wheel drive as well as stability control (PSM). Driven sedately, the muscle-bound 2003 Porsche 911 is docile and easy to drive. But stab the throttle and the car blasts through the first four gears like a roller coaster rushing downhill, with the urgent song of the flat six at full cry. Speed is reigned in quickly by easily modulated and incredibly powerful brakes that feel as though they could stop a semi in short order.The 911 is equally at ease running through various turns, possessing dead neutral poise that belies the rear-engine architecture. The steering has a reassuring heft and plenty of feedback that allows one to easily settle into a rhythm. Sizzling performance, tenacious handling, legendary reputation. if you’re looking for supercar performance in a legendary package, it’s tough to top the 2003 Porsche 911.